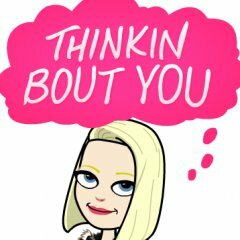 I really need some insight about Retin-A (Micro .04%) as I’m just beginning my treatment. For some background information: I never had acne. I went for a chemical peel for minor discoloration and it completely changed my skin texture. My skin is very bumpy and the texture is so bad. It has now been six months since the peel, and my skin texture is still not restored. I have tried to baby my skin but it is not working. I also tried Differin (.03%) for three months but it just peeled my skin and none of the bumps purged or responded to the treatment. 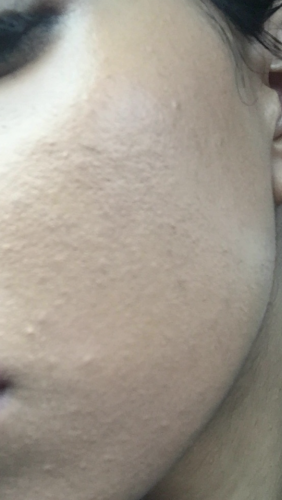 These bumps all over my face (small and large ones) are just there, don’t change sizes, get inflamed or anything. There are tons and tons of them. I just began Retin-A Micro. 04% four days ago. So far, all i’ve gotten is minor peeling and stinging. So my question is, has anyone with similar skin texture tried Retin-A? And what were the results? I’ve attached some photos so people can get better understanding. I know this is old, but I'm bumping this as this is exactly what I have and I really would like some help. I don't have any idea on how to deal with them or what is causing them! I feel it came from shaving and then applying makeup directly onto it. Will Epiduo help this? Thank you so much for your reply! I appreciate it so much! My skins just a disaster right now and I don't know what to do! I shave the entire beard/stubble line but have to cover it with makeup for my job. I work as an actor and mainly play kids (i look very young) but have a visible stubble shadow. I use heavy makeup on these areas to cover it. I'm thinking thats what is causing it! I also don't use a moisturiser and i'm thinking I really need too and should in order to prevent irritation like this! I feel like the makeup just sticks to my dry skin and then I can't remove it all! Dude no problem at all, I think Epiduo is a really good topical so I am happy to share my experience. I felt like every morning after using it I woke up with better skin, despite a few setbacks. It really actually calmed my redness and made my skin soft for the first time in ever. I personally just had to take a few days off here and there due to sensitive skin. Also the perfect spot treatment. I love this stuff haha. Okay I get the shaving/make up thing now! So you live and Japan as an actor?! That is so dope!!! I live with my parents in TX haha.... *cries inside* lol but seriously what a cool opportunity. and OH MY GOD THAT IS SO ME. I sweared that everytime I used moisturizer a new lil bugger would pop up. But since using Epiduo I HAD to moisturize, so I compromised. I used my favorite form of moisture (aloe vera), mix it with some actual face lotion (just any oil-free Neutrogen), and finally added some of this AHA/BHA cream to it. Any will do, but mine is SkinMedica brand, it basically has all these super cool "acids" in it that smooth out skin tone and helps keep pores from clogging. BUT it's gentle. This is the ONLY way I moisturize, even on accutane... don't tell my derm hehe. I know that probably sounds like a lot of work, but it's what I found worked for me and actually improved my overall skin health. What moisturizers have you tried? I def think adding something before your make up will sooth your skin before applying make up and possibly minimize irritation. Is there a specific make-up you use? Are you allowed to choose? Yeah I live in japan as a performer right now But ... this skin thing is taking a toll on me ;( I've even considered leaving just because I feel so ugly and self-conscious. I want to explore the country, but I just can't bear to go out looking like this! 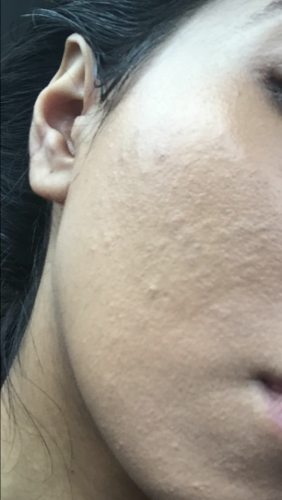 I went through my whole accutane course and after without moisturiser - never moisturised once! It cleared me, but I'm thinking that maybe my skin is just tool sensitive and dry and THAT'S the problem I need to address! I took the plunge this morning and put on cetaphil moisturiser on my face. I'm going to try it out for a week and see if it helps or hinders at all. As for makeup, I did use their makeup to begin with but now just use bare minerals (which is what I used previously). However, I feel like it just makes my spots so much more apparant ;( But again... maybe that's because I'm so dry. How do you get your makeup of if I may ask? I find that I've got this yellowy crust that clings to my stubble that is impossible to remove. Oh trust me I can relate to that. I am currently taking a semester off of school because of mental health issues and my skin, amongst other reasons. It's hard but the mental work is the real challenge, even as my skin gets clearer on Accutane. We all have been there! I am sure you will make a good decision for yourself. Maybe your moisture barrier is destroyed and can't keep outside bacteria off your face? That's why they say the caveman regimin works, cause you repair your "acid mantle" that keeps bacteria at bay I guess. Never really have been into that caveman stuff but I have heard a lot of successful stories and my skin is honestly clearest when I forget about it. Don't know if there's a connection but maybe something to research a lil for funsies. Kudos for using the moisturizer! How is it feeling? Did your make up go on smoother? I have heard great things about Bare Minerals, but I personally never used it. When I did wear foundation, I used Naked by Urban Decay and it kept my skin super clear and the brush that comes with it allows you to build your coverage however you want. Most foundations give me cystic acne so this was a saving grace hah. I remove my make-up by twice cleansing. First, I Splash my face with the most gently-hot water 3x, use my Dermalogica special cleansing gel, rinse, then wash with Panoxyl daily cream wash (4% BP) for a whole minute. At night I tone, which I think is SUPER important is you wear make up that day cause on the cotton ball there will be leftover gunk that you couldn't even see haha. I use witch hazel. What face products are you washing with now? How does your face look now?